I used to work for a large company that have hundreds of branches in the country. These branches changes from time to time- just as outlets/businesses do, they may close down due to lack of business, or shift to a larger office space down the road or open a new branch. I maintain the listing for the branches in my intranet/information portal and watches it over like a hawk! Reason is because I learnt the hard way- when I first took over my company’s information portal years ago, we used to get some complaints from customers on our staff for providing wrong information! A few customers called up to check on locations and were either given branches that had already shifted or closed down. Some were given the wrong address. This happened because the list we had was ‘corrupted’ and not updated promptly. It took me quite sometime but I sat down and manually cleaned up the listing. I then limit the access to amend the listing to very few people. This is to prevent too many people from messing with the listing and risking to make wrong amendments to it. After I went through the painful exercise of cleaning up, everything went peaceful from then onwards and we got no more complaints. If you work in a company that has many branches locally or worldwide, you would want to do that because it is IMPORTANT for your staff to be able to access and provide the CORRECT information whenever a customer calls to ask. Let’s take for example a business like FamilyMart, a Japanese based store that operates many outlets in the country that you are in. Now, not all FamilyMart stores are 24 hours. Some standalone stores located at shoplots would operate on 24 hours like a 7 Eleven outlet. However, some based on shopping complex would operate according to the mall hours, which is 10am to 10pm. However, there are some exceptions such as strange hours for one that operates in a college and a few located at malls actually operates 24 hours. If you are operating the intranet where the customer service staff would need to refer to, then you need to keep a strict tab on the branches and operating hours. What format you can use to maintain a branch or outlet listing for your company? The simple answer: Anything that works. A simple protected excel sheet where employees can view but cannot make amendments may suffice. Excel format is good because it enables the staff to sort. You may create a column based on town, state, those with 24hours service and province and enable your staff to sort it. Limitation: We had issues whereby for some PCs with older versions, there were not able to view the excel listing concurrently. Meaning if someone opened the excel listing, the file cannot be accessible by certain users. To counter that limitation, I had another webpage (htm) version created. Basically, each time I amend the excel sheet, I would save in excel and then resave one more time in ‘web page’ format. I would make both versions available in the intranet for my staff to refer to. The web format also enable staff whose could not open the file due to the excel version is lower (yes, it happens sometimes due to budget constraints to upgrade all PCs). Why would you want to maintain a separate listing when your company’s official website already has it? You may have additional information that you only want to keep strictly for internal reference which you cannot include in the official website. For example, some outlets may provide different type of services from another. Maybe a particular outlet is closed for a few days for renovation or repairs- it is usually not viable to update these information at the official website. But when you have access to the information you can do a remark column so that when customers call your staff to check, your staff would be able to advise instead of being unsure. You would be surprised, but sometimes company may bar their employees from having internet access (to avoid them wasting time to surf net). If no proper configurations are being set, sometimes employees cannot even access to their own corporate website! It had happened before and it made my staff looked like a fool when they could not answer a simple question as to where are location of other branches. There are times when designers places a stronger importance on appearance than usability. For example, they may have strange filters to check on outlets which sometimes do not work properly in their official website. Or that they require far too many clicks – for example from the homepage, customer need to click on the outlets/branches, then click on state, and then the town name. Or sometimes customers who are not so internet savvy cannot locate the page with the branch so they ended up calling. Yes, you may highlight to the web development team but it may fall to deaf ears. Some things are out of our control but we can at least manage those within our control. So, give your staff access to the list. Maybe your company’s website may be down for maintenance. Or some viral posts caused an influx of visitors to your company’s website so the site is very slow or unavailable. Or the customer is already on the line who was checking on something else and then before you end the call… when you ask if there is anything further you can help, the customer paused then asked for a branch location. It is often faster to bring out an excel list and check rather than click through a website to check. One of the first task I actually did when I took over my previous company’s intranet was to clean up their branches list. I did whatever it took… to the extend of calling some branches to check on certain things and updating the information. 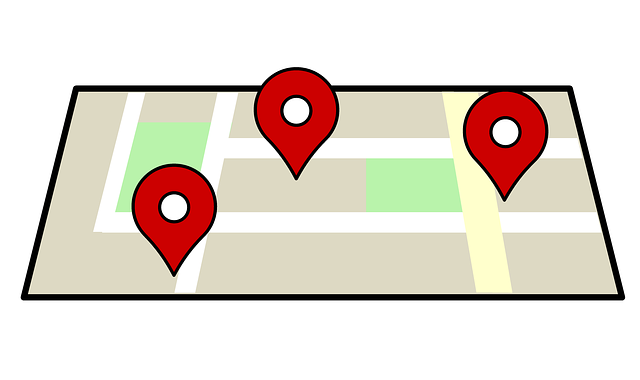 Branch location is what often people search for. I could not rely on other departments so I made sure this information is as accurate as possible which includes identifying the staff who is in charge of branch changes and working closely with the team. Once my staff knew the information on something as crucial as this is updated, they started to use the intranet more often as they were told to refer to intranet and never try to save any list in their PC as it could be inaccurate. Eventually I worked on more information cleanup such as product, procedures and promotions. My staff started to notice that the information is accurate, and when I send communication I always reference to the intranet section with the update. Not long after that, I was able to turn my simple intranet as an indispensable tool instead of a white elephant that no one uses.